The daughter of a drug-addicted rock star tries to change her life when her uncle sends her to an exclusive prep school. Pearl’s mom briefly was the Grammy-nominated leader of a band before disintegrating into hopeless drug addiction. Named after the Janis Joplin album, Pearl simply tries to survive with her mother until her mom nearly kills her by accidentally burning down their homeless shelter. Pearl’s rich uncle reluctantly steps in to pay her tuition to the prep school his daughters attended. There, she becomes involved in her dorm’s social life, which includes sneaking out to smoke and drink. She encounters a mix of hostile and supportive classmates and falls for Grant, a romance that’s threatened when Pearl spends the summer in a design institute program with girls who get her seriously involved with drugs. She begins to discover herself in an advanced art class run by an emotionally intense teacher. Will she manage to save herself from her mother’s fate or succumb to it herself? Pearl’s love/hate relationship with her mother threatens to dominate her life unless she can find herself and become free from her past. Hall writes with confidence as she delves ever deeper into her character’s portrayal, just as Pearl tries to paint her own portrait. 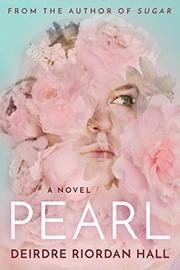 Pearl’s granular, present-tense narration makes for an introspective, even claustrophobic read.